SZM XT-20+ Product - CTE Global, Inc.
SZM XT-20+ is a purified native fungal α-amylase that breaks down amylose and amylopectin of starch to shorter chain dextrins and maltose. Its application decreases mash viscosity thereby increasing the efficiency of hydrolysis by glucoamylase. SZM XT-20+ provides the following benefits to ethanol producers. 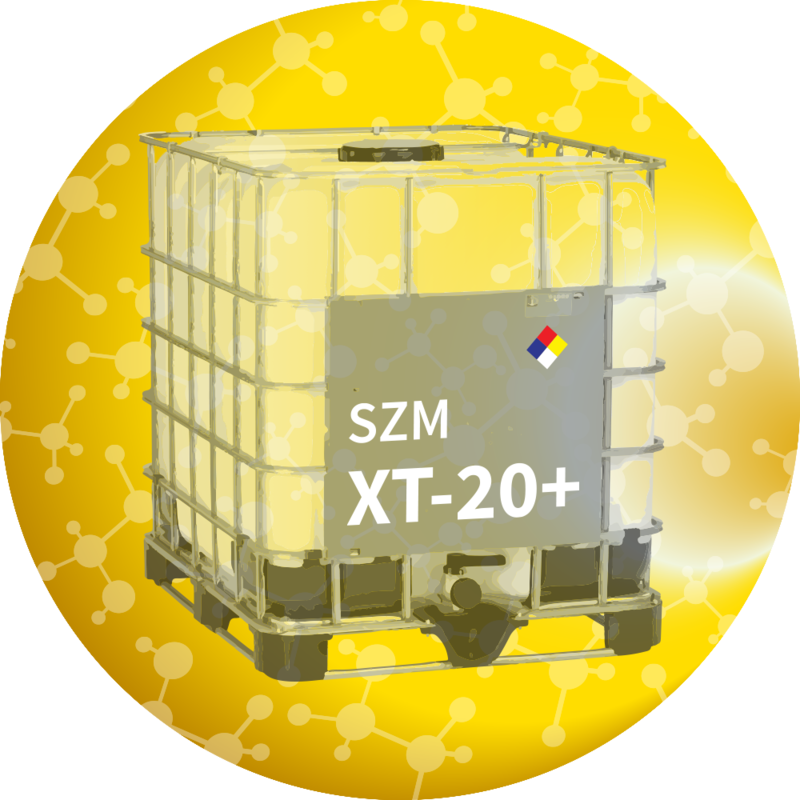 SZM XT-20+ should be dosed at 0.0041–0.0082% weight enzyme / weight as is corn. The actual dose required will depend upon the conditions of your fermentation: time, initial pH, and the level of solids. This product is not a GMO The enzyme product is manufactured by fermentation of microorganisms that are not present in the final product. The production organisms and the enzyme effectiveness are improved by means of modern technology. SZM XT-20+ is available in totes. SZM XT-20+ will meet the declared activity upon arrival at the plant. Recommended storage: 0–10°C (32°–50°F) Packing must be kept intact, dry, and away from sunlight. Please follow the recommendations and use the product before the best before date to avoid the need for a higher dosage. Best before: The best before date can be found in the COA or on the product label. The product gives optimal performance when stored as recommended and used prior to the best-before date. SZM XT-20+ contains proteins obtained from large-scale cultures of a mold. Proteins may cause an allergic-type reaction in sensitized individuals that could require immediate medical attention. Prolonged direct contact may cause minor irritation to skin, eyes, or mucus membranes. For detailed handling information, please refer to the appropriate Safety Data Sheet.